Here’s an example of the reality border patrol agents face on a daily basis. 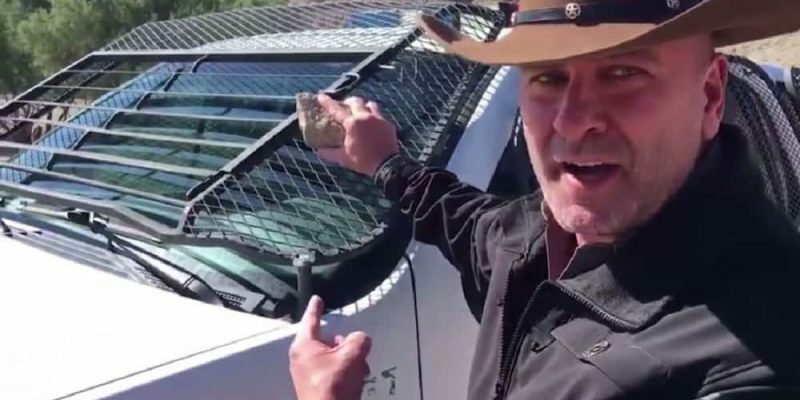 Louisiana Republican Congressman Clay Higgins explains why rocks are a deadly weapon. Stoning is one way the death penalty is enforced in numerous Islamic countries. Stoning, the throwing of rocks, has been a method used for corporal punishment for thousands of years. Throwing rocks, which are used as deadly weapons, is not new, but it’s happening at the border and agents have every right to defend themselves. Throwing rocks is an act of violence, with intent to kill. It is a criminal act. Criminals should not be allowed into the U.S. Spread the word. Violence at the border is real. And liberals who say it isn’t might want to consider what it would be like if someone was throwing rocks at them.